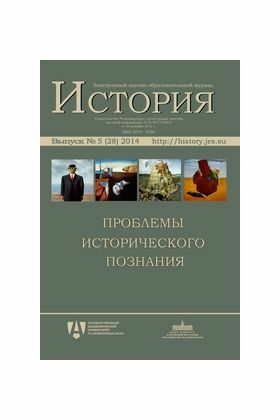 This issue considers modern problems of theory, methodology, epistemology and logic of historical knowledge. In the light of modern scientific paradigm of the historical process analyzes the problem of historical time. In the center of attention - the historical truth, historical accuracy of statements and its relationship to the historical truth, the dependence of the interpretation of psychological factors, problems of modern globalization, the concept of the political in the context of modern intellectual history. Discusses the causes and accidents in complex systems, new approaches to modeling, to periodization archeology.